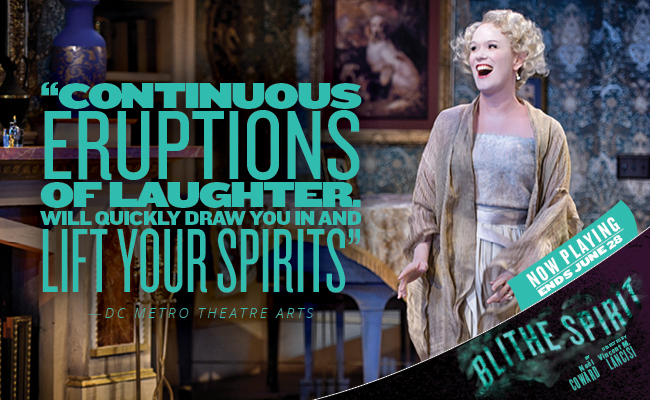 Filled with the sparkling wit and the undeniable charm of Noel Coward, Blithe Spirit is a clever comedy gem from well beyond the grave! As inspiration for his new novel, Charles Condomine invites the wonderfully eccentric medium Madame Arcati to perform a seance in his house. When things go terribly awry, Charles suddenly finds himself caught in an improbable love triangle between his naive living wife and his decidedly "spirited" former wife.